cla deletes all graphics objects that have visible handles from the current axes. The handle is visible if the HandleVisibility property of the object is set to 'on'. The next plot added to the axes uses the first color and line style based on the ColorOrder and LineStyleOrder properties of the axes. If axes do not exist, then this command creates one. 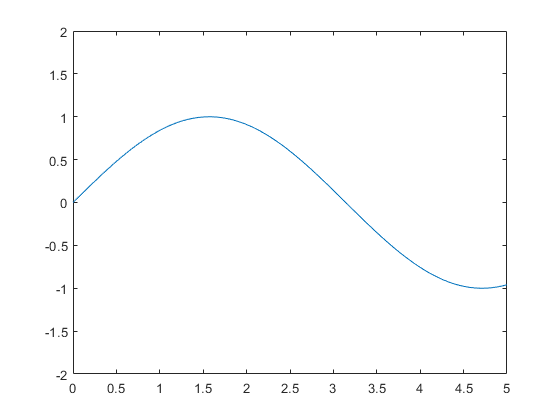 cla(ax) deletes graphics objects from the axes or polar axes specified by ax instead of the current axes. cla reset deletes graphics objects from the current axes regardless of their handle visibility. It also resets axes properties to their default values, except for the Position and Units properties. cla(ax,'reset') resets properties for the specified axes. 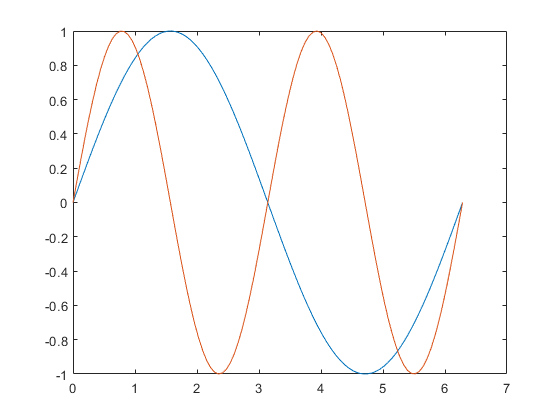 Plot two sine waves. 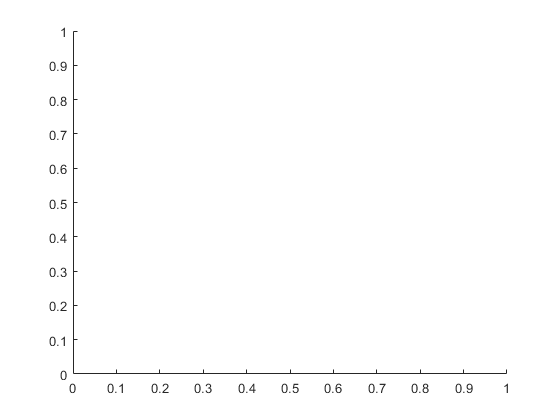 Then, clear the line plots from the axes. cla clears the line plots and resets the ColorIndex and LineStyleIndex properties of the axes to 1. Subsequent plots start from the beginning of the color order and line style order. 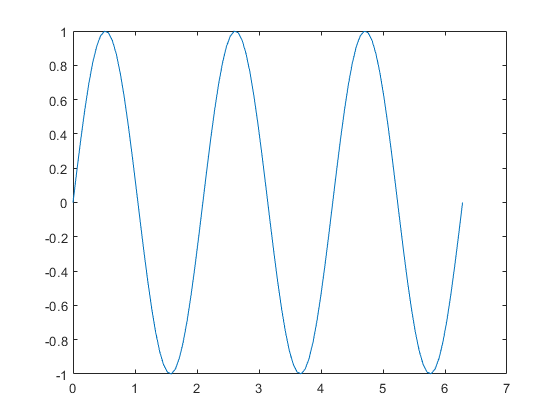 For example, plot another sine wave. Create a figure with two subplots and assign the Axes objects to the variables ax1 and ax2. Add plots to both axes. Clear the surface plot from the upper subplot by specifying ax1 as an input argument to cla. Now, reset all axes properties for the upper subplot, including the camera properties that control the view, by using the optional input argument 'reset'. Create a line plot and set the axis limits. Clear the line plot from the axes and reset all the axes properties to their default values. cla reset resets all properties of the current axes, except for the Position and Units properties. Target axes, specified as an Axesobject or a PolarAxes object. Use ax to clear specific axes, instead of the current axes. The cla command resets the ColorOrderIndex and LineStyleOrderIndex properties of the current axes to 1.